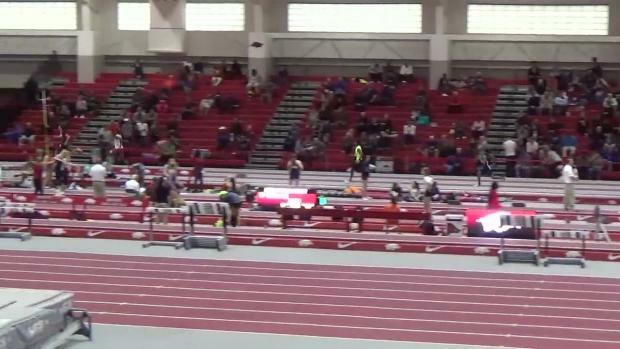 January is quickly coming to a close and the indoor track and field scene in Missouri has started to come into focus. Among the nationally ranked competitors, one of the biggest standouts so far has been St. James senior Grant Conway. Sometimes overlooked in Class 3 when discussing the top talents in the sprint events, Conway's credentials surely require your attention. He will enter his senior outdoor track campaign with personal bests of 10.97 in the 100 dash, 14.12 in the 110 hurdles, 22.24 in the 200 dash, 38.05 in the 300 hurdles, and 6-3 in the high jump. 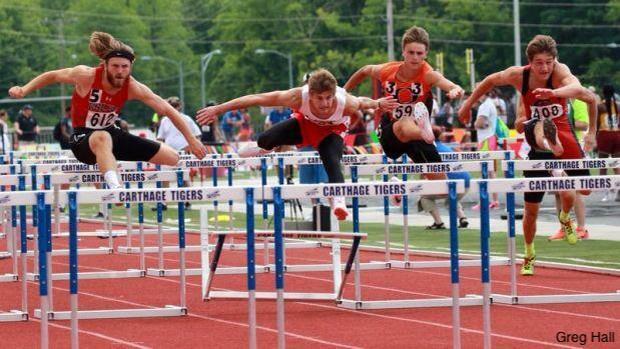 He is among the top four returners in Class 3 each of these five events, is the top returner in the 110 hurdles in the entire state, and is the fifth fastest 300 hurdler in the state among returners. Not to be outdone, that 14.12 is tied for 39th among all 110m hurdle returners in the country. On the indoor track, Conway has already put down nationally ranked times and declared his candidacy for US #1 this campaign. 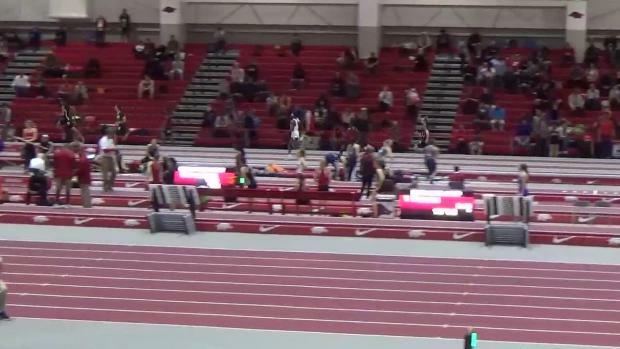 While he will have a tall task tracking down current #1 Kurt Powdar (VA), he is only .09 seconds off of the second fastest time in the country as his 7.92 ranks seventh in the country. 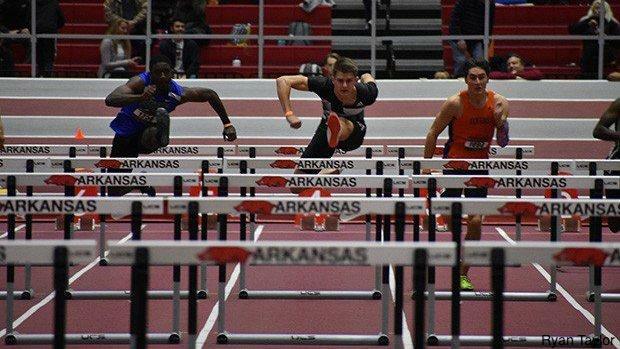 Five of the athletes ahead of Conway have already broken 14 seconds in the 110 hurdles in their career, a feat only 15 Missourian athletes have ever accomplished in high school. His 7.92 is already an improvement of .34 seconds from 2018's indoor campaign and his sub-8 second consistency this winter shows that these times are hardly a fluke. MoMileSplit: What have you been focusing on this indoor season in terms of races and skills that will prepare you to perform during the outdoor season? 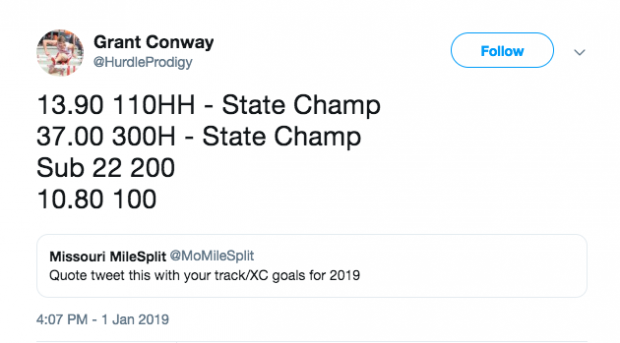 Grant Conway: This indoor season I have been running the 200m and 400m dash, along with lots of 200, 300, and 400 intervals at practice to help me try and shave a lot of time off the 300 hurdles this outdoor season. 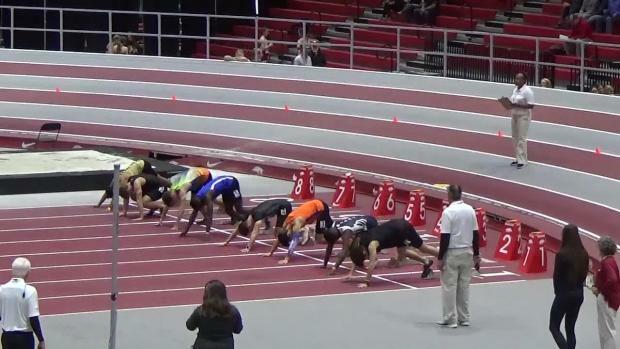 Then with running the 60 hurdles I've been trying to focus on having a better start out of the blocks and a better finish over the last hurdle and through the line for the 110's. MMS: What are you doing differently to have propelled you to where you are now? 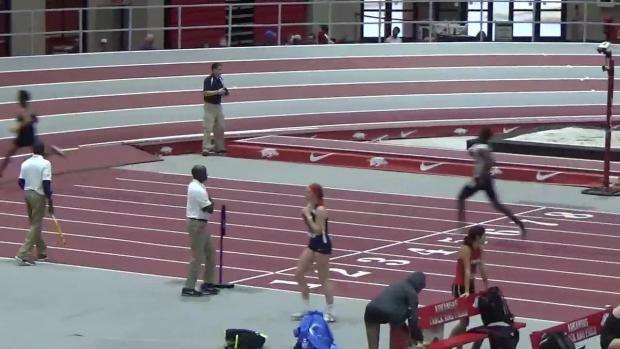 Last year you topped out at 8.26 in the 60H and you're already running 7.92 this winter. GC: I haven't done a whole lot different honestly. I think just continuing to run all of last summer, playing football, and just maturity are the things that have had the biggest impact on my improvement. MMS: Lots of big PRs so far this indoor season, how are you feeling about your fitness level and training right now and what is your confidence level like that you can continue dropping time heading into the outdoor season? GC: My body is feeling good and I definitely feel faster than last year at this time. Training is going well, just doing what I can outside when the weather cooperates since I don't have the access to any indoor training facility. Having a PR every meet thus far has really boosted my confidence level and I really feel that this senior outdoor season is going to be something special. 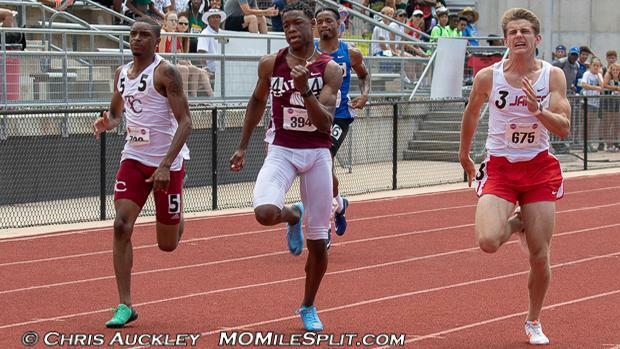 MMS: Jekeel Suber ran 13.91 at Great Southwest last June, but in the MSHSAA season, no one has run under 14 since 2016 and only 15 guys have ever done it in state history. What would it mean for you to get into that club and what are your thoughts on that 14 second barrier? GC: Running sub 14 has been a dream of mine the past couple seasons. This year is the year I feel that I can accomplish that dream, not just once, but multiple times. 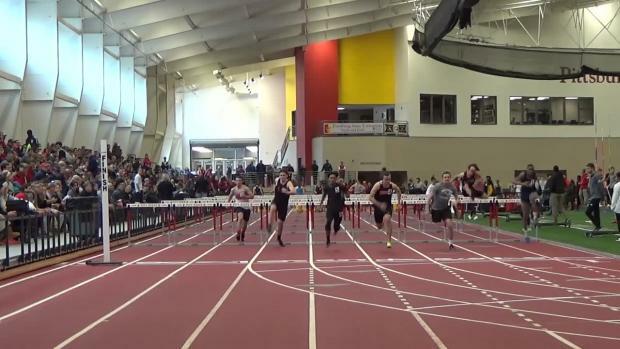 With the way I have improved with the 60 hurdles this season I feel running sub 14 is very achievable. To be able to run sub 14 and be apart of an elite club with some of Missouri's great hurdlers like Dapo Akinmoladun and Ezekiel Elliott would be pretty amazing. MMS: What events are you eyeing at this year's state meet and what are the goals? GC: My goal is to make it to state in all 4 of my events, the 100, 200, 300 hurdles, and 110 hurdles. In the 100 my goal is to run sub 10.90 and take top 3 again. In the 200 my goal is to run 21.90 or better and take top 3 again. Then in the 300 hurdles my goal is to run sub 37.00 and be the state champion. And in the 110 hurdles my goal is to run 13.80 or better and be the state champion. MMS: Tell us about the University of Iowa and your commitment! GC: Coach Woody and Coach Wakenight are some of the best coaches in the nation and do an outstanding job with the hurdlers/sprinters. Iowa has some great facilities as they have an indoor 200m banked track and a great outdoor track that is actually hosting the Big 10 championships this year. 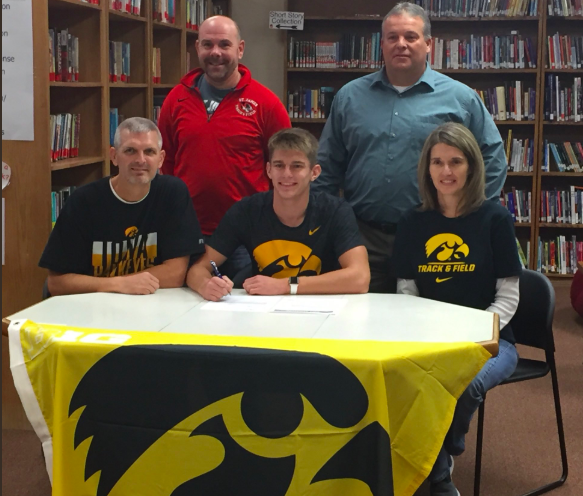 One thing that played a big role in my decision and commitment is how much improvement Iowa's hurdlers have from the time they graduated high school till their senior year in college. Take Chris Douglas for example who ran 14.14 in high school and so far has ran 13.76 at Iowa and still has his senior season left. With that, I'm just excited to get up there and hopefully start making some noise at the college level.